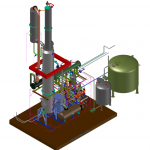 Logichem makes extensive use of 3-D modelling in plant Layout and Piping drawings to facilitate Operability and Maintenance Design Reviews with Clients, and eliminate piping clashes. 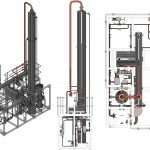 Logichem makes use of Inventor software, which also supports automatic generation of piping isometrics for costing, procurement, and fabrication purposes. 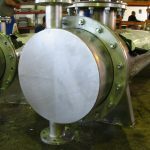 This enables substantial prefabrication of piping components, reducing the expensive site fabrication component, and construction time. While Project Management is not Logichem’s core business, we have the multi-disciplinary resources and experience to offer competent execution of Project Management assignments. We are often requested by clients to undertake Project Management of projects which entail a substantial turnkey supply component by Logichem, and where the client does not have the engineering resources to handle the project management in-house. 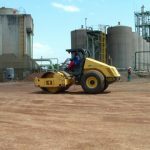 Such contracts often involve components like site bulk earthworks, civil design and construction, utilities and effluent treatment, etc., supplied by other engineering companies. 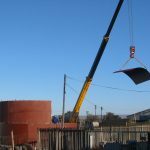 These activities require co-ordination in terms of scheduling to minimize interruptions and optimize shared facilities such as site deliveries and crane usage. Overall progress and budget reporting would form part of Logichem’s services, as well as vendor invoice approvals where appropriate. Finally functional testing, commissioning, training, and hand-over documentation would be compiled, together with operating and maintenance manuals. Our broad base of experience spanning multiple unit operations in various industries equip us well to assist clients with conceptual designs and scoping studies for proposed investments. We can rapidly evaluate and cost alternatives to support client’s feasibility studies. We also remain updated on latest process developments which offers clients the opportunity of investing in cutting edge technology to ensure the competitiveness of the new investment. Scientists working in R&D cannot be expected to know what information is required by engineers to enable them to design equipment . 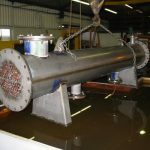 A real example from our experience in a new product’s development by a client where process conditions and stream analysis were comprehensively researched and reported, no stream specific gravities (required for vessel sizing and pump power requirements) were measured. By the time this was pointed out, all samples had been disposed of. This could have been avoided by a comprehensive check list of design data requirements. As a design-focused engineering firm, Logichem can guide Client’s personnel in this respect. 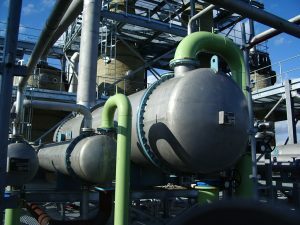 Our experience has shown that early involvement with Client’s R&D programs can ensure that the necessary data are identified and included in projected R&D outcomes to enable seamless progress to Process Development, Preliminary Equipment Design, Utility Requirements, Cost Estimating, Plant Layout and Plot Plan requirements to enable Feasibility Evaluation by the Client. Our multi-disciplinary team with many years of design and commissioning experience spanning a wide range of industries, coupled with our Process Simulation capability, equip us well for undertaking 3rd party Client in-house Design Validations where required. 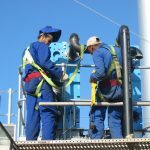 Such a Validation Study frequently also results in process improvements, efficiency enhancements, or cost reduction proposals identified during our analysis. Surprising as it may seem, in large companies we have often come across a communication gap between R&D and Engineering departments. 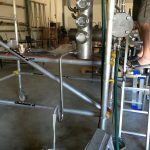 The scientists in R&D are not able to translate their results into an engineering language that can be understood and manipulated by Engineering to draw up flow sheets, equipment specifications, cost estimates, and project budgets. 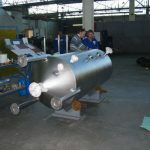 Due to our scientific training, technology development and design experience, and exposure to many industries, we are able to act as a “translator”, and convert R&D results and reports into Process and Instrumentation Diagrams, equipment specifications, line sizing, utility requirements, and plant layouts on which the project budgets and feasibility studies can be based. We are also able to identify gaps in the R&D data which indicate further research required to complete the picture. 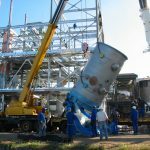 In addition to our many years of experience in design and commissioning of plants, our Consulting and Trouble Shooting assignments are supported and informed by our Process Simulation capability. Our simulation modelling generates a wealth of information on process conditions and responses to changes in input variables, invaluable in Trouble Shooting. It also enables development of appropriate control philosophies, and generates equipment design data. This in turn can be used to identify process bottlenecks and develop remedies. 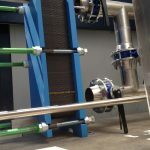 Process Integration is generally understood to mean heat integration between different unit operations to provide the lowest energy configuration, epitomised by Pinch Technology techniques. However, a more holistic view is required when embedding new investment in an existing facility. 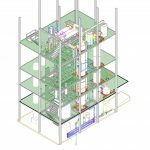 Our experience, coupled with process simulation analysis, enable accurate performance rating of existing equipment. This in turn enables optimised integration of new equipment into an existing operation, thus optimising the client’s investment. Logichem has a strong Process Simulation capability, which enables us to build accurate, predictive computer based models of processes. 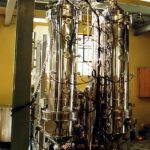 This is a particularly powerful tool used in the development of our alcohol distillation technology. 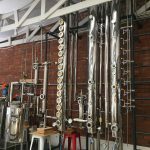 Our Alcohol Distillation models have been validated on actual plant performance data, enabling reliable, predictive evaluations of alternative operating strategies in optimizing our designs to match Client requirements and constraints. This process simultaneously generates accurate Design Data establishing the basis for subsequent Equipment Design and Control Strategies. 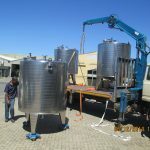 Application of this advanced design technique in the predominantly traditional Alcohol industry is the single most important factor that enabled Logichem to become the leading supplier to the Alcohol industry in Southern Africa. 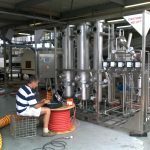 Process Simulation also plays a major role in the development of innovative technology. 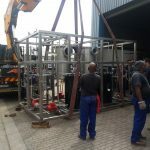 Examples are Logichem’s propriety CO2 Capture and Purification, and brewery water deaeration technology, installed at a number of breweries and alcohol distilleries in Africa. 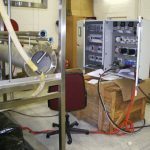 Process Simulation, coupled with our experience, is also the most powerful tool in trouble-shooting assignments, efficiency improving studies, and debottlenecking exercises conducted for Clients. It enables us to pinpoint problem areas and offer optimized solutions. Logichem’s engineers come from a diverse experience background, enabling us to offer services to a wide range of industries. Engineering, Project Management + Drawing and 3D Modelling. 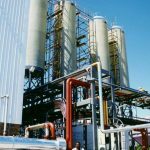 Ethanol production technology is our core business, from small 100 litres per day plants for the craft distilling industry, to 200,000+ litres per day industrial-scale distilleries. 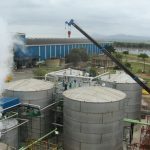 Logichem is the leading ethanol plant contractor in Southern Africa. 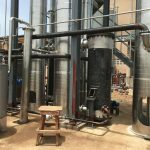 In addition we have sold ethanol plants to clients in California, Australia, Ghana, and Israel. 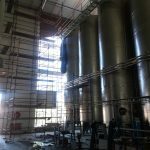 We provide complete turnkey solutions to clients in the cane (juice and molasses), maize (corn), wine, and cassava spirit industries. 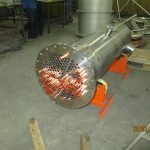 We can design for a range of products, spanning potable, industrial and cooking ethanol grades. 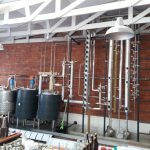 Potable products range from flavoured varieties such as eau de vie, rum, and whisky, to neutral products such as vodka and extra neutral spirit. 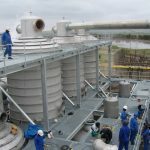 Our designs are based on comprehensive process simulation models of the various distillation processes to ensure optimum performance and efficiencies are achieved. Our models have been tried and tested and validated extensively on plant data from many operations over the past 20 years, and can be relied upon to produce accurate and trustworthy data and design parameters. 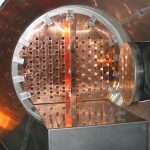 Logichem developed proprietary high-efficiency, self-cleaning distillation trays that have been in service since 2002. 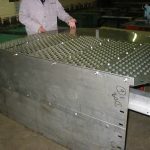 Trays can be supplied in stainless steel, copper and titanium. 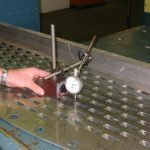 Most of our equipment is manufactured in our own workshop, subjected to rigorous quality control and functional testing prior to dispatch. 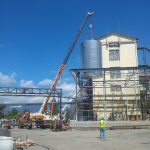 In addition to designing and building large industrial-scale distilleries, we also deliver small-scale plants for the Craft Spirit industry. 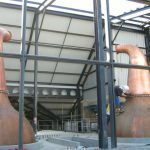 Employing exactly the same design principles and techniques used in our industrial-scale plants, we offer bespoke, tailor-made designs to craft distillery clients to fit their exact requirements for producing unique products. 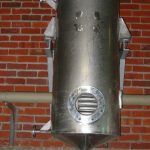 We offer both batch processing pot stills, and continuous column stills fitted with our proprietary solid-tolerant trays. 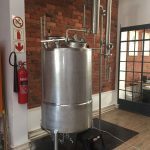 The latter allows distilling the solids-laden beer straight from your fermenter to produce a 96.4% neutral spirit in a single pass, a huge improvement in time and energy on the multiple pot distillation alternative. 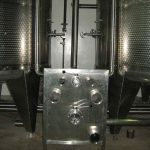 The same still is suitable for eau-de-vie, schnapps, vodka, whisky, and rum production. 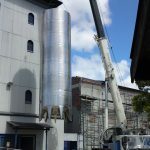 We also deliver mashing and fermentation equipment to suit various raw materials, starch as well as sugar based. We adjust the level of automation to suit the level of hand-crafted authenticity desired by the client. 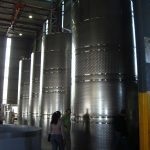 In response to the global trend to “lighter”, lower alcohol wines and beers, Logichem developed novel technology for alcohol reduction of fermented beverages with full retention of flavour. 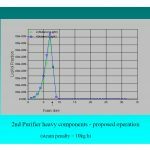 This process has been granted international patents and has been in commercial operation since 2014. It is licensed under the registered GoLo trademark. 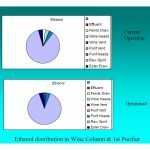 In the wine industry, the initial driver was the adjustment of alcohol content of high-alcohol wines to optimise its balance and taste. This was primarily applicable to the New World regions where excessive summer heat results in high alcohol levels. Subsequently, social, dietary, and health benefits have become increasingly important drivers for reduced-alcohol wines, and are expected to make it increasingly fashionable to drink “light” wines. For the producer and consumer there is also the benefit of lower excise tax depending on final alcohol content of the product. 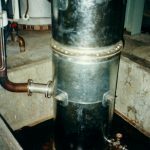 Normal boiler-generated steam is contaminated with corrosion protection chemicals dosed into the boiler feed water to conserve the boiler wetted components. It is therefore unsuitable for direct injection heating of food products. 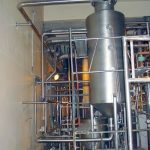 This has created a need for Clean Steam generators, particularly in the dairy industry. 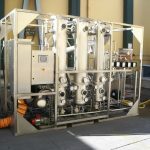 Clean steam generators are also used to harvest energy from geothermal steam which is often contaminated with high levels of sulphur compounds. 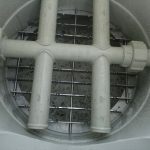 Clean steam generators are essentially secondary boilers using “dirty” primary steam as heating source. 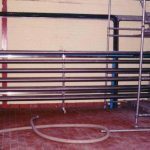 They are constructed in corrosion-free alloys to suit the properties of the primary steam and therefore do not require corrosion protection chemical treatment on the secondary side. 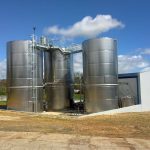 Logichem has supplied Clean Steam Generators for the dairy and ethanol industries utilising boiler steam as well as geothermal steam up to a capacity of 5 ton per hour at 10 bar pressure utilising 20 bar primary steam. 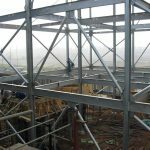 We can custom design to fit the exact requirements pertaining to the application, including the high seismic structural specifications generally required for geothermally active regions. 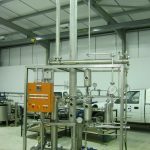 Logichem has a number of pilot plants used for in-house process development, relating mainly to our core business of Distillation Technology. 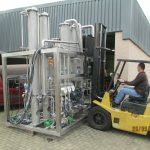 We also offer design and supply of pilot plants to clients for R&D or Proof of Concept purposes. 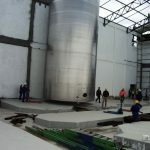 Logichem is skilled in the interpretation of a client’s requirements regarding information to be gleaned from pilot trials, and the subsequent design and construction of the pilot plant. 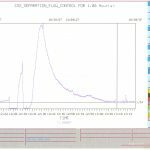 Logichem also offers the service to run the plant and log results for the client. This puts us in a better position to do the subsequent scale-up to commercial operation. 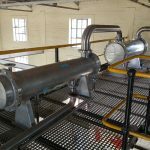 Logichem has developed novel technology for de-aeration of dilution water used in the beverage industries, typically in breweries. 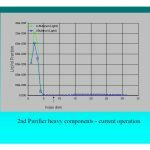 Logichem’s process is capable of reducing dissolved Oxygen (DO) to <10ppb, compared with typically 40ppb from conventional single-flash systems. Low DO extends product shelf life and is therefore highly sought after by beverage producers. 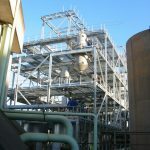 Logichem’s process is based on multi-stage steam stripping in a trayed distillation column. 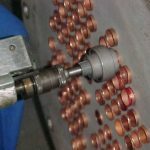 The high efficiency of multi-stage contact reduces the steam requirement considerably, resulting in very low vapor-to-liquid ratio. 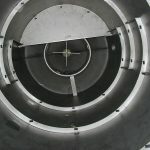 This requires a good understanding of the hydraulic impact on tray design, resulting in highly unusual tray geometry to accommodate the high liquid load without flooding while still preventing weeping resulting from the low vapor load. 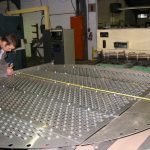 Due to the instability of the protective oxide layer of stainless steel under these hot, low-oxygen conditions, trays are manufactured in Titanium. 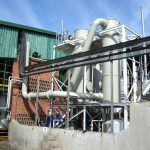 Unlike the CO2 stripping de-aeration processes, Logichem’s process is hot, resulting in sterilization of the water at the same time. 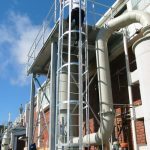 Heat integration between feed and product streams results in high thermal efficiency and low energy cost. 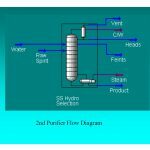 Logichem offers proprietary technology for capture and purification of CO2 to Beverage Grade from fermentation processes. 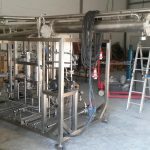 We design and supply complete turnkey CO2 recovery, purification, storage, and vaporization plants for breweries and other fermentation processes. Our process involves low temperature distillation of liquefied CO2 to reduce its dissolved oxygen content to <5ppm. 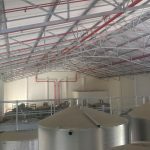 We have a number of reference plants at breweries and distilleries in Africa. 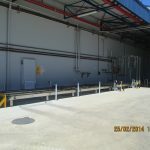 Logichem’s multi-disciplinary team enables complete turnkey plants to be offered to clients. This means single-responsibility supply with guaranteed performance. It is also the fastest route to completion since decision making is streamlined. 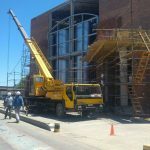 Logichem has the disciplines of process, mechanical, electrical, and instrument and control engineering, as well as draughting in-house. Civil and structural disciplines are outsourced. To learn more about all the applications we offer, please contact us. 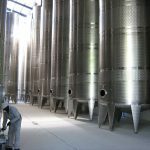 Logichem has experience in Fermenter design and fabrication, from small craft-spirit fermenters to large, site-built Fermenters. Our experience spans sugar cane molasses, grain, and raw cassava raw materials. 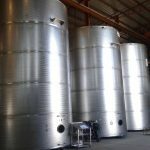 Regarding fermenter cooling options, we can supply open vessel wall film cooling, external circulation cooling, or cooling jackets. 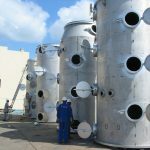 Logichem designs and supplies a range of tanks, from small to large, in carbon steel, austenitic and duplex stainless steels, from atmospheric pressure to pressure vessels. 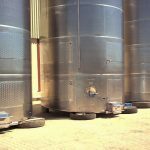 Tanks can be equipped with jackets (dimple, half-coil, or cavity type), and mixers (top, side, or bottom mounted). 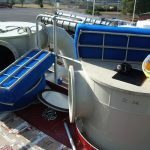 We cater for flat, sloped, and conical bottoms, with the latter mounted on legs with adjustable feet. 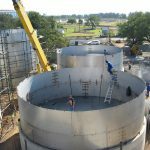 Tanks too large for transport are built on site from pre-formed and pre-cut panels. 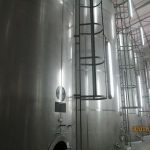 We specialise in tanks conforming to hygienic standards for the food and beverage industries. 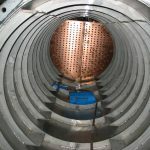 Logichem designs and fabricates a range of vessels equipped with heating and cooling coils. 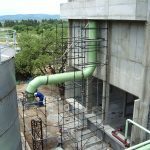 Applications are custom designed for clients’ specific requirements to suit the duty, heating/cooling medium, space limitations and materials of construction. 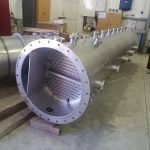 Logichem designs and fabricates a range of shell-and-tube condensers in a variety of materials of construction: stainless steel, copper, titanium, duplex stainless, carbon steel, etc. Equipment is custom designed to fit the available space, which is often extremely limited in retrofit projects. Design pressures range from full vacuum to 30 bar. 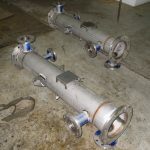 Logichem designs and fabricates shell and tube, double-pipe and coil type heat exchangers in-house. Plate heat exchangers are assembled locally, using plates and gaskets from Funke in Germany. 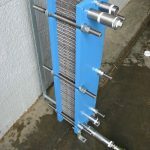 Brazed plate heat exchangers are imported from Funke. 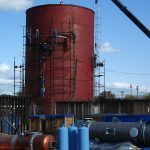 Logichem’s designs and fabricates a range of jacketed vessels for heating and cooling applications. 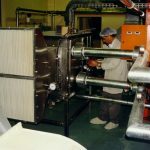 High quality internal surface finishes can be provided to suit food processing and pharmaceutical requirements. 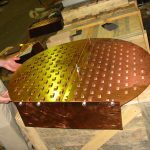 Jackets can be designed for a range of heating and cooling media, and a range of pressures. 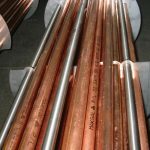 Material of construction is typically stainless steel, but alternative materials can be accommodated. 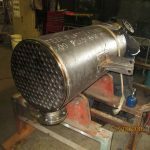 Logichem designs and fabricates a range of shell-and-tube and coil reboilers for distillation and evaporation applications. A range of operating pressures can be designed for, from full vacuum to 10 bar. 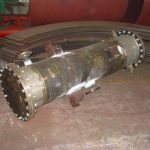 Heat Transfer is arguably the most important unit operation in the process industries. 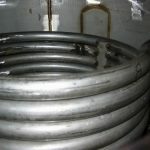 Very few processes do not require heating or cooling. 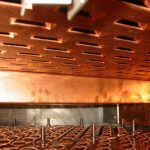 Accordingly, Logichem prioritises a thorough understanding of the fundamental principles underlying Heat Transfer, enabling us to offer custom-designed and optimised solutions to Clients’ heat transfer needs. A range of absorbers and scrubbers can be supplied in a variety of materials of construction, including plastics (PVC, PP, HDFE, FRP). 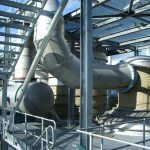 Logichem has particular expertise in the design of balanced fume extraction ducting, enabling a single scrubbing facility to serve a factory with multiple fume release points. 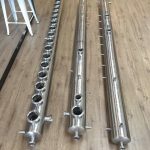 Logichem’s distillation column design is based on detailed Process Simulation modeling of the system involved, providing precise vapor and liquid traffic design parameters. 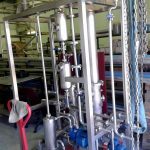 Logichem manufactures its proprietary RECTAVALVE distillation trays in Wellington, with either fixed or floating valves. These trays are characterized by high capacity, efficiency and tolerance to fouling duties. 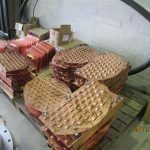 Trays can be supplied in a variety of materials of construction, including copper and titanium. 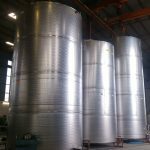 Columns equipped with random packing are also supplied, particularly for applications where column diameter is <500mm. 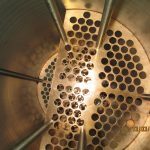 Logichem designs and supplies distillation equipment, including its proprietary RECTAVALVE perforated trays. 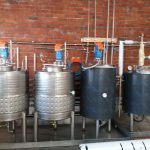 Logichem is the leading supplier to the alcohol distillation industry in Southern Africa. 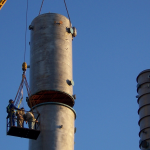 We also design and supply fume extraction and wet scrubber systems. 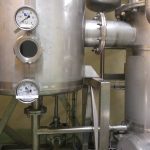 Logichem developed proprietary technology for solvent extraction of vegetable oils and pigments, typically used in the paprika oleoresin industry. 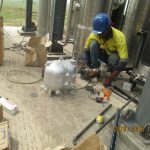 Logichem’s products range from single items of equipment such as heat exchangers, through sub assemblies such as distillation columns complete with associated equipment, piping and instrumentation, to complete turnkey plants. 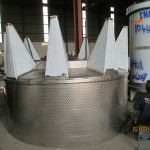 Most Products are custom designed to suit the client’s particular requirements, and ensure optimization of the investment. 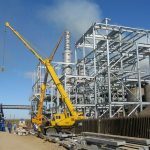 We design and build process plants. 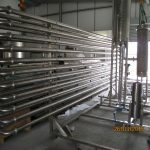 We service primarily the Chemical and Food & Beverage industries. 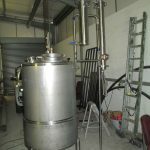 Our speciality is Ethanol production plants, from small 100 litres per day for the craft distilling industry, to 200,000+ litres per day industrial-scale distilleries. 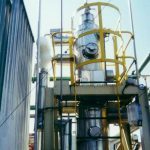 We can use a variety of raw materials to produce various grades of ethanol, from potable to cooking ethanol. Logichem is a scientifically-based organization. What does that mean? It means that we calculate stuff. 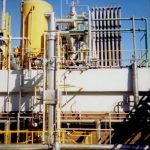 We don’t just copy what was there before, as is particularly prevalent in the traditional ethanol industry. 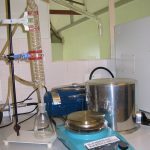 We have a deep understanding of the scientific principles of mathematics, physics and chemistry, which underlie the fundamental techniques of Chemical Engineering such as fluid flow, and heat and mass transfer. This enables us to design from first principles, leading to innovative, optimum solutions for our clients. This entry was posted on Thursday, June 28th, 2018 at 2:12 pm	and is filed under . You can follow any responses to this entry through the RSS 2.0 feed. You can skip to the end and leave a response. Pinging is currently not allowed. Logichem maintains an ISO 9001:2008-compliant Quality Management System.